While economists and policy makers debate over the exact percentage that constitutes full employment in the U.S., most everyone agrees that we are either near or at that level. On February 1, 2019, the Bureau of Labor Statistics reported the unemployment rate at 4.0 percent through January with employment increasing in leisure and hospitality, construction, health care and transportation and warehousing. The news of our nation being at or near full employment makes for great headlines. But, for companies currently recruiting quality employees from an evaporating talent pool, low unemployment figures necessitate rethinking their traditional recruiting and retention methods. Labor is among the largest investment for Great Range Capital’s (GRC) portfolio partners, Apple Bus Company, HeartLand, GirtonLLL Transport and Labor Source. Many companies report that finding employees has become as difficult as the proverbial needle in a haystack. All of our portfolio companies work diligently to recruit and retain the best labor force in their respective industries, and they achieve a measure of victory despite the obstacles. We asked Apple Bus Company, HeartLand, GirtonLLL Transport and Labor Source’s leaders in the trenches about their success stories, recruiting and retention tactics and words of encouragement for others who are responsible for hiring in today’s tight labor market. Labor Source continues using guerrilla marketing tactics, like flyers, but these target long-term results that are harder to track. The media reports employers are raising wages to compete for employees, and Labor Source has increased compensation to stay with the curve. Regardless of Labor Source’s success, Pitman still hands it to his peers in the staffing industry, since even Labor Source occasionally relies on third-party recruiters to fulfill urgent requests. He also leverages his own online network. “It’s amazing who you can find online. We’ve saved recruiting fees by reaching out to those in our LinkedIn network,” says Pitman. HeartLand is the holding company for Keesen Landscape, Signature Landscape and Columbia Landcare commercial landscaping firms. Hiring seasonal landscape workers is never easy, so recruiting in a tough market is not a new phenomenon to HeartLand. However, full employment, increased competition against construction jobs and an immigration-charged environment has made finding quality workers more difficult than ever. Furthermore, landscaping is a demanding job. Companies often hire several people to get one who stays. 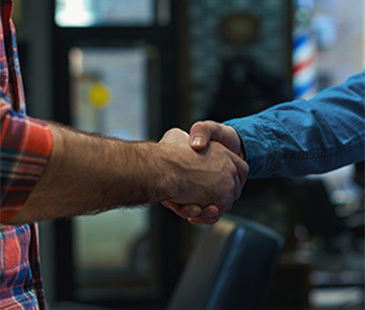 To drive hiring momentum, HeartLand launched an employee referral program in recent years that exceeded leaders’ expectations, with additional efforts launched to increase retention. GirtonLLL Transport specializes in the transportation of agriculture chemicals, general chemicals and petroleum products. Not only do they seek drivers with a valid Commercial Driver’s License (CDL), but also hazmat transportation certification. Considering the nature of their freight, it’s common for companies like GirtonLLL Transport to hire applicants with years, preferably decades, of experience for the safety of both drivers and the public. In a perfect job market, experience can be a prerequisite to employment. In today’s market, experience can exclude potentially exceptional drivers. GirtonLLL Transport also is targeting a different workforce to fill their drivers’ seats. The military is a natural sector. “We connect with military personnel who are in charge of helping soldiers who’ve completed their duty transition to civilian life again. Veterans are great candidates for our specialized industry,” says Fasso. For GirtonLLL Transport and others in the transport industry, it’s important to remember the number one thing that keeps a company successful is its drivers. High driver churn rates exhaust the resources, budgets, efficiency and profitability of companies in the transportation sector. Driver churn is a double whammy in an industry facing employment shortages that have no foreseeable end. Apple Bus Company, a leader in providing student transportation services located in Cleveland, Missouri, is an industry exception. Mike Oyster, Apple Bus Company’s founder and president, says, “We presently spend more on driver recruitment, training, driver wages and benefits as a percent of revenue than at any point in the company’s history and more than I have seen in my 40-plus years working in this industry.” In the tight labor market, substantial sign-on bonuses and wage jumps are common practices, which have a domino effect on all transportation companies. Each company in Great Range Capital’s portfolio has their own approach to recruiting and retaining employees in a tight labor market. But, the results they get are why we invest in Heartland businesses: top quality employees working for talented leaders who’ve created a successful company by any measurement.